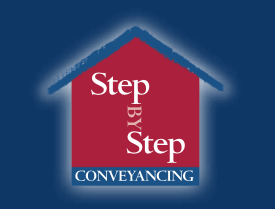 Step by Step Conveyancing Pty Ltd was established by Elisa Western, Licensed Conveyancer and Justice of the Peace, who has over 25 years industry experience. During this time Elisa has worked continually as a conveyancer for established law firms, acting for major land developers right through to boutique developers and residential purchasers and sales. Elisa earned her Conveyancer’s Licence at Macquarie University and has an invaluable amount of experience and expertise that can be applied to your next property transaction. Elisa is registered with the Department of Fair Trading as a Licensed Conveyancer, is a member of the Australian Institute of Conveyancers, NSW and is also protected by Professional Indemnity Insurance. We are located in Kellyville in the Hills District but do provide a FREE Mobile Service where we will come to you so if you are concerned with our location, there is no need as we can deal with any property within NSW and in particular the Sydney Metropolitan area.